When you plan your weekend ahead of time, you’re more likely to get things checked off your to-do list and have time for fun! 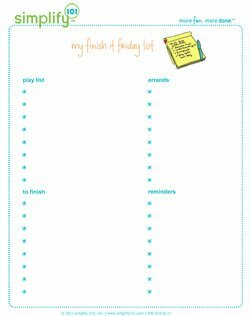 Use our Finish It Friday printable to organize your weekend plans. Includes space for your to-do list, play list, errand list, and reminders.